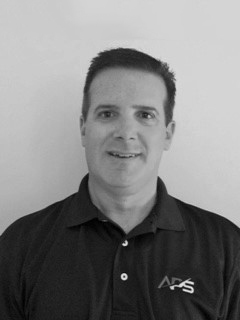 Bill Kiriluk, Business Development Executive joined APS in June of 2015, with a diversified background in corporate aviation along with over 25 years in financial and industrial outside sales experience. Bill attended APS’s UPRT training course and was thoroughly hooked on the value and safety preparedness the programs offer all sectors of the pilot community. Bill began flying in 1987 as a private pilot which and continued to build his time and ratings all the way up to an ATP rated pilot. Bill has accumulated over 5,000 hours of flight time. He has flown a wide range of aircraft which include the following, Piper Navajo, TBM 700, Pilatus PC12, and King Air 200 along with Cessna Citation model 560 and 650 jets. His flight experience is mainly corporate flying along with providing charter services. Since joining APS, Bill’s primary role is to develop new business and promote APS’s expansive growth to all sectors of the aviation industry. He helps guide prospective clients by tailor designing an UPRT or PPRT program that meets potential clients’ specific needs. In his spare time, Bill enjoys boating, hiking, cooking and spending quality time with family and friends.